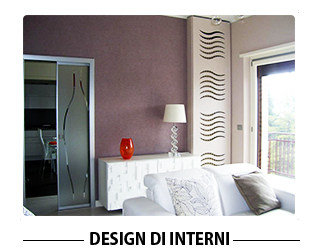 Vivere felicemente gli spazi è il desiderio a cui l’interior design prova ogni giorno a rispondere. Cerchiamo di prestare particolare attenzione agli aspetti pratici e funzionali del vivere la casa, ad esempio che i mobili abbiano il giusto dimensionamento, che siano rispettati gli spazi di passaggio, che gli arredi siano disposti in modo comodo e funzionale, che i materiali e le tecnologie siano di buona qualità, che non ci siano potenziali pericoli per la salute di chi usufruirà di questi ambienti,l’abbattimento delle barriere architettoniche, la ristrutturazione architettonica e l’ammodernamento per nuove destinazioni d’uso, che ci sia una buona insonorizzazione, un buon rapporto fra consumi energetici e comfort, che tutto l’ambiente sia in armonia tra l’ingombro degli spazi pieni e l’utilizzo degli spazi vuoti. I just want to tell you that I am newbie to weblog and absolutely savored you’re page. Most likely I’m want to bookmark your site . You amazingly have good posts. Thanks for sharing with us your webpage. I do like the manner in which you have framed this specific problem and it does present us a lot of fodder for consideration. Nevertheless, through what precisely I have personally seen, I basically hope as the actual commentary pack on that people today remain on issue and don’t start on a soap box associated with the news du jour. Still, thank you for this exceptional point and whilst I do not really go along with this in totality, I value your viewpoint. I wish to show my passion for your kindness in support of those individuals that need help on this subject. Your personal commitment to passing the solution along ended up being pretty interesting and has consistently enabled guys like me to realize their targets. Your helpful recommendations can mean a whole lot to me and further more to my office workers. With thanks; from each one of us. Great website. Plenty of helpful information here. I¡¦m sending it to several buddies ans also sharing in delicious. And of course, thanks for your effort! I would like to thnkx for the efforts you have put in writing this site. I am hoping the same high-grade website post from you in the upcoming as well. In fact your creative writing abilities has encouraged me to get my own blog now. Really the blogging is spreading its wings rapidly. Your write up is a great example of it. I’m still learning from you, as I’m making my way to the top as well. I definitely love reading all that is posted on your website.Keep the stories coming. I loved it! Very good written article. It will be supportive to everyone who employess it, as well as yours truly :). Keep up the good work – can’r wait to read more posts. Thanks a bunch for sharing this with all of us you actually realize what you’re speaking approximately! Bookmarked. Kindly also seek advice from my website =). We will have a link change arrangement between us! I intended to draft you the very little note in order to give thanks once again for your personal pleasing techniques you’ve shown on this website. It has been seriously open-handed of you to offer unhampered precisely what many of us might have marketed as an e-book to end up making some bucks for their own end, notably since you could possibly have done it if you ever desired. The secrets additionally acted to be the easy way to realize that many people have a similar zeal similar to my own to understand significantly more with reference to this issue. I’m certain there are a lot more pleasurable instances up front for individuals that read your website. Thank you a bunch for sharing this with all of us you actually recognize what you’re talking approximately! Bookmarked. Please additionally visit my web site =). We will have a link exchange agreement among us! Merely wanna remark that you have a very nice web site , I the style and design it really stands out. Hey very nice website!! Guy .. Beautiful .. Amazing .. I will bookmark your blog and take the feeds also…I’m glad to find so many helpful information here within the post, we want work out extra techniques in this regard, thanks for sharing. I just wanted to make a small comment in order to thank you for those great concepts you are giving at this site. My time consuming internet search has at the end of the day been paid with extremely good facts and techniques to exchange with my friends. I ‘d claim that many of us site visitors actually are extremely blessed to dwell in a remarkable community with so many outstanding professionals with insightful ideas. I feel really grateful to have used the web site and look forward to some more thrilling minutes reading here. Thanks a lot once more for everything. It is truly a nice and helpful piece of information. I am satisfied that you just shared this useful information with us. Please keep us up to date like this. Thank you for sharing. Generally I don’t learn article on blogs, however I would like to say that this write-up very compelled me to check out and do it! Your writing taste has been amazed me. Thanks, very nice article. What i do not understood is in fact how you’re no longer really much more smartly-liked than you may be right now. You’re so intelligent. You recognize therefore significantly relating to this topic, made me for my part consider it from numerous various angles. Its like men and women don’t seem to be fascinated unless it¡¦s something to do with Lady gaga! Your own stuffs outstanding. Always take care of it up! I and my guys were actually going through the nice suggestions found on the blog and then suddenly I had a horrible feeling I had not thanked the website owner for them. The young boys appeared to be for this reason glad to learn them and have in reality been having fun with them. I appreciate you for really being considerably accommodating as well as for having such remarkable tips most people are really eager to be informed on. My personal sincere regret for not expressing gratitude to you earlier. I intended to create you one very small observation in order to say thanks a lot over again for the nice strategies you’ve featured here. It was simply shockingly open-handed of people like you to allow publicly all many of us would have offered for an ebook in making some cash for themselves, most notably since you could possibly have tried it if you ever desired. The tips as well served to become a easy way to recognize that some people have the same eagerness the same as my very own to learn a good deal more in regard to this issue. Certainly there are several more pleasant sessions ahead for many who see your blog. I got what you intend, regards for putting up.Woh I am happy to find this website through google. “Food is the most primitive form of comfort.” by Sheila Graham. Excellent post. I was checking constantly this blog and I’m impressed! Extremely helpful information specifically the last part 🙂 I care for such info a lot. I was seeking this certain info for a long time. Thank you and best of luck. Very well written post. It will be useful to anyone who utilizes it, including me. Keep doing what you are doing – looking forward to more posts. Thanks a lot for providing individuals with such a breathtaking opportunity to read articles and blog posts from this web site. It’s always so pleasing and as well , full of a great time for me personally and my office colleagues to search the blog minimum three times every week to find out the fresh tips you have. Of course, I’m usually amazed concerning the fabulous thoughts served by you. Certain 1 tips on this page are rather the finest we have all ever had. I carry on listening to the reports speak about receiving boundless online grant applications so I have been looking around for the most excellent site to get one. Could you tell me please, where could i acquire some? I am always looking online for posts that can help me. Thanks! Thanks so much for providing individuals with a very pleasant opportunity to check tips from this website. It is usually very nice plus jam-packed with a lot of fun for me personally and my office colleagues to visit your website at minimum three times every week to study the new secrets you have got. And definitely, I’m so usually motivated concerning the gorgeous pointers served by you. Certain two points in this post are undoubtedly the best I have had. My spouse and i felt now more than happy that Edward could finish up his researching while using the ideas he made from your web page. It is now and again perplexing to just be offering key points which often people today may have been trying to sell. We keep in mind we need the blog owner to appreciate for this. All of the illustrations you made, the simple blog navigation, the friendships you help to create – it’s got most fantastic, and it is helping our son and us believe that the subject is thrilling, and that’s truly essential. Many thanks for the whole thing! Great remarkable issues here. I¡¦m very glad to peer your post. Thank you so much and i’m taking a look ahead to touch you. Will you kindly drop me a mail? Whats Happening i’m new to this, I stumbled upon this I have discovered It positively helpful and it has aided me out loads. I’m hoping to contribute & help other users like its aided me. Great job. I was looking through some of your blog posts on this website and I think this web site is real instructive! Keep posting . I really like your writing style, good info, appreciate it for putting up :D. “I will show you fear in a handful of dust.” by T. S. Eliot. Howdy very cool web site!! Guy .. Beautiful .. Amazing .. I’ll bookmark your blog and take the feeds additionally…I am satisfied to find a lot of useful information here in the put up, we’d like work out more techniques in this regard, thank you for sharing. I was reading through some of your content on this site and I think this internet site is really instructive! Continue putting up. I wanted to construct a word so as to appreciate you for some of the remarkable items you are giving at this site. My particularly long internet investigation has at the end of the day been rewarded with really good concept to write about with my two friends. I ‘d claim that we website visitors are unquestionably fortunate to dwell in a fine community with many perfect individuals with very helpful methods. I feel very much happy to have seen your entire website and look forward to so many more pleasurable moments reading here. Thanks a lot again for a lot of things. Some really superb articles on this website, regards for contribution. “Give me the splendid silent sun with all his beams full-dazzling.” by Walt Whitman. Hello.This article was really remarkable, especially since I was investigating for thoughts on this subject last Wednesday. You completed several good points there. I did a search on the subject matter and found mainly people will agree with your blog.